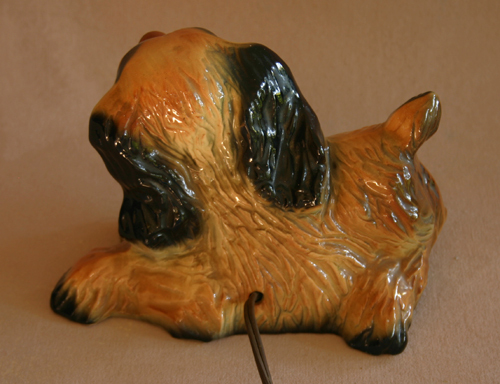 Hankscraft Company made various items, but could be best known (by collectors, at least) for their cute dog novelty lamp. 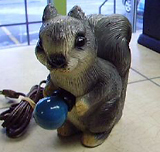 Founded in 1949, they were located in Wisconsin (Madison, and later Reedsburg) and made all sorts of ceramic-electrical products, including egg cookers and baby feeding dishes. I've heard it said that the ceramic parts were made for them by Red Wing Pottery (and possibly other potteries as well), but I cannot confirm this. It's interesting to note that Hankscraft Co. lives on today as Hankscraft Incorporated, and is still located in Reedsburg, Wisconsin. They are a manufacturer and distributor of mini and micro-sized electric motors. 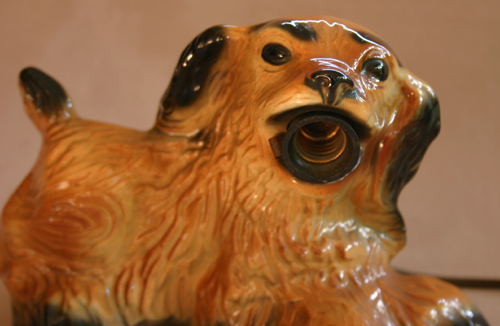 I've heard these frisky pups by Hankscraft called chalkware, but they are in fact glazed ceramic. 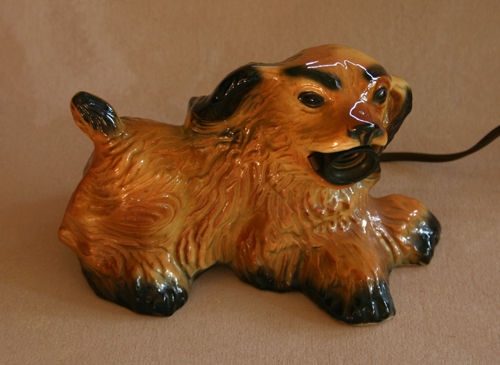 These are described in the 1954-55 Fall-Winter Montgomery Wards catalog as a Puppy Night Light. Selling price? $2.49! 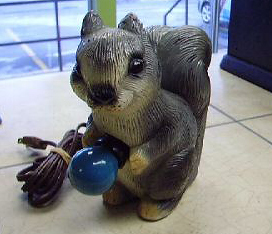 It is intended to hold a round ball-like colored bulb, and has the small diameter Christmas-light sized socket. 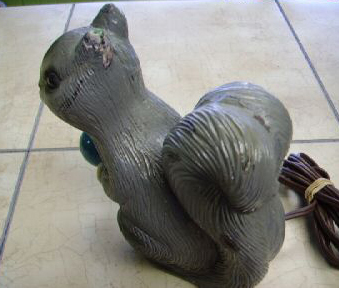 Much less common than their puppy is the Hankscraft squirrel. Photos courtesy of eBay seller, $ellphone$.